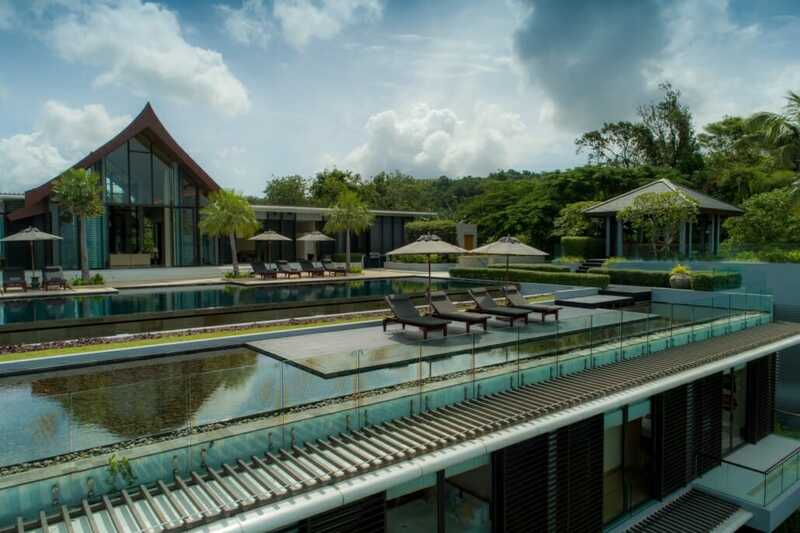 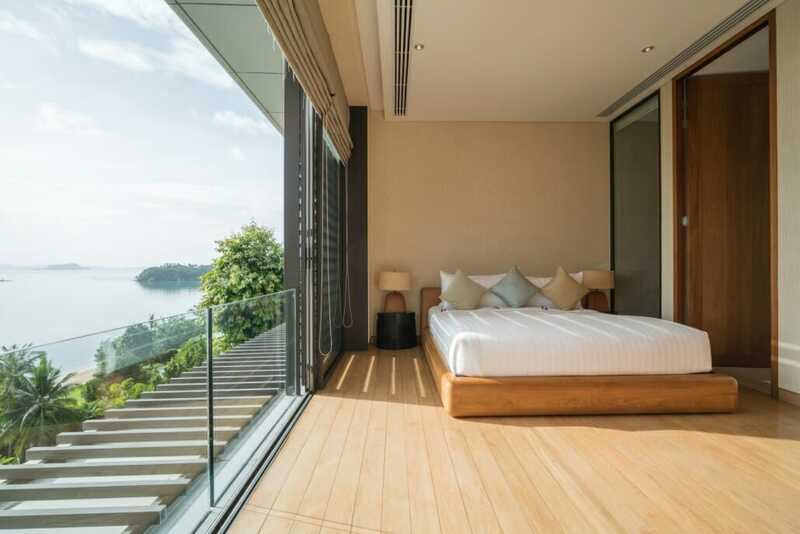 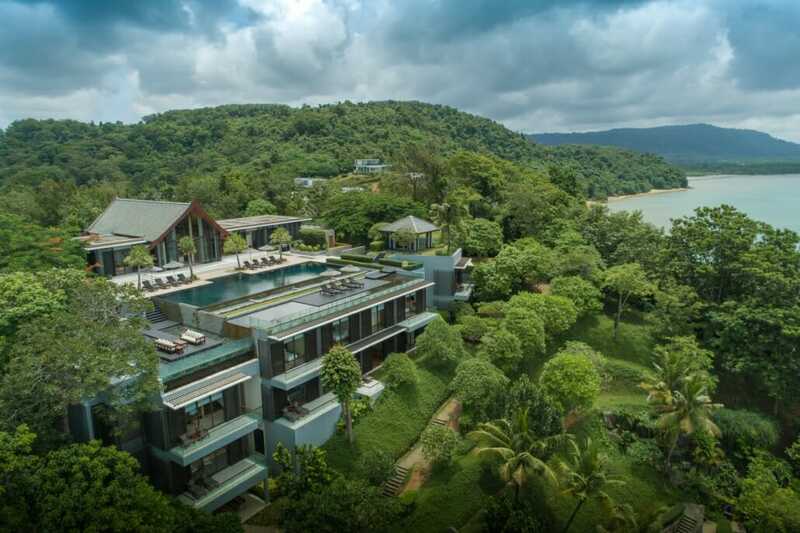 This stunning 10 bedroom villa is perched on the luxurious Cape Yamu peninsula on Phuket’s idyllic east coast. 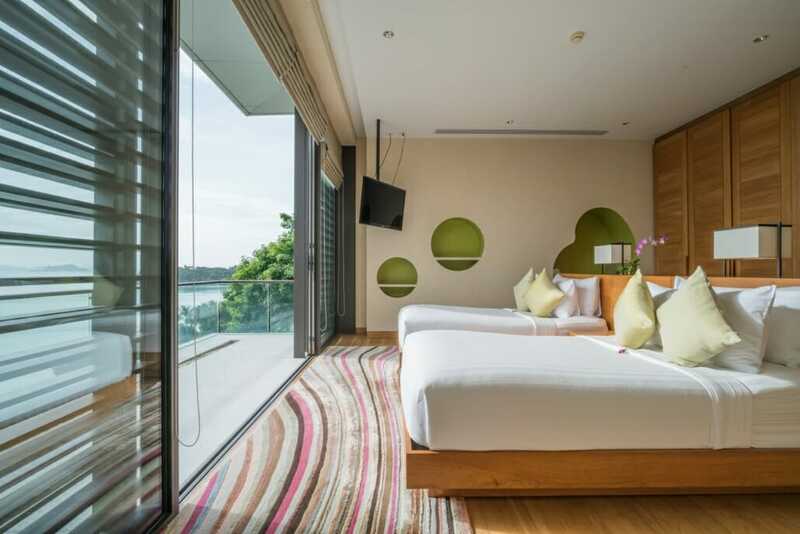 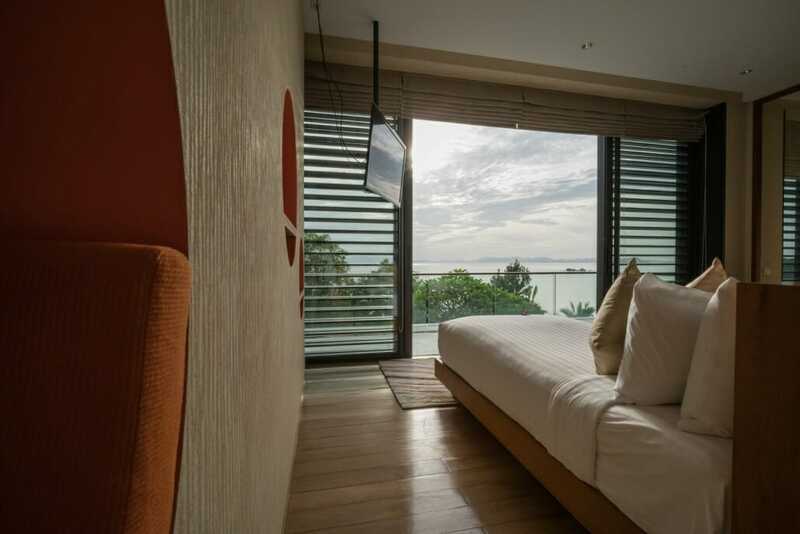 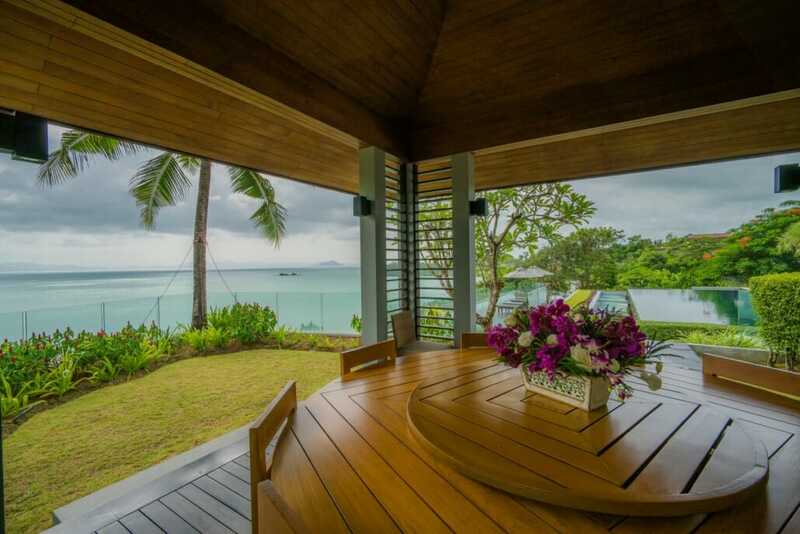 It offers expansive views over the crystal clear waters of Phang Nga Bay and its spectacular limestone islands. 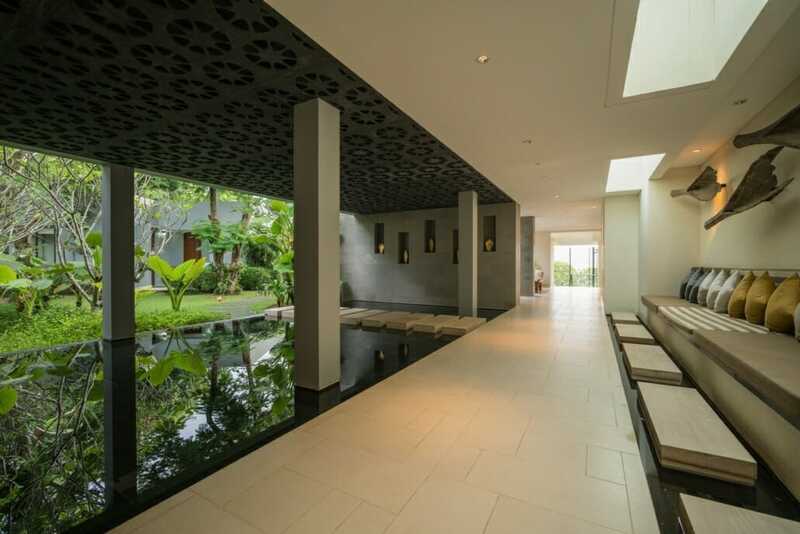 The result of an architectural and design collaboration between Tim Beaumont and Jean-Michel Gathy (best known for his iconic Aman resort designs) the villa seamlessly combines modern stateliness with the charm of traditional Thai living. 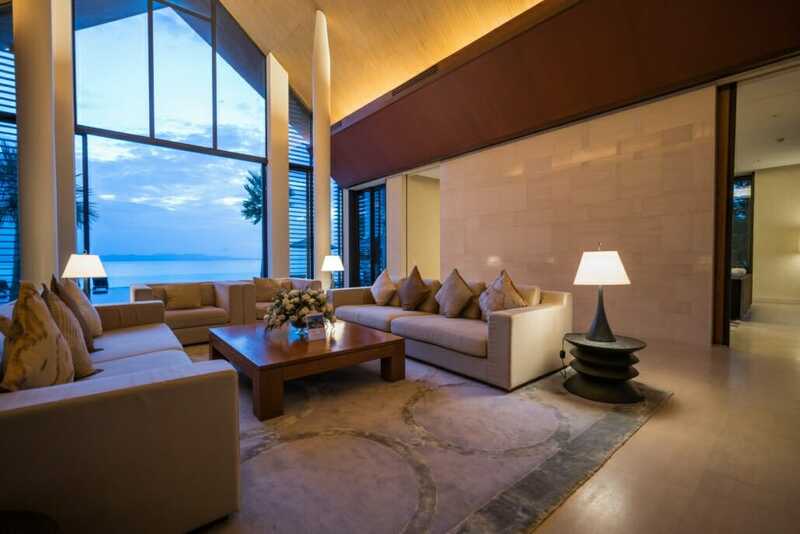 The majestic cathedral-like entrance, floor to ceiling glass walls, open-air living room and chic mezzanine ensure that the grand panoramic views of the cape are most prominently featured while in contrast, the interior is styled in simple soothing tones and natural wood. 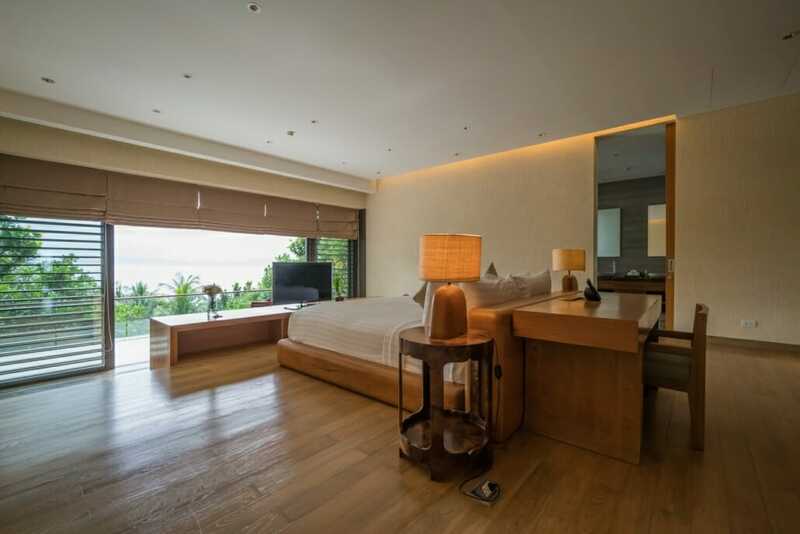 In essence, every detail of this villa is chosen for both high-end luxury and a peaceful retreat. 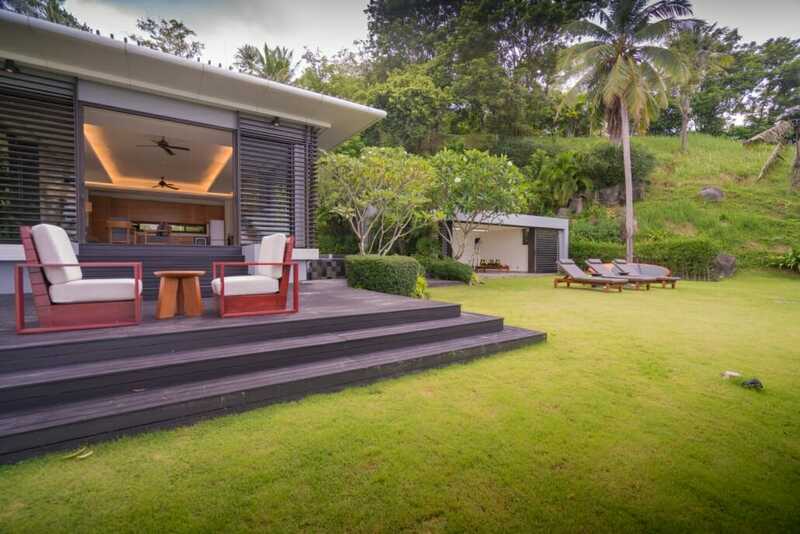 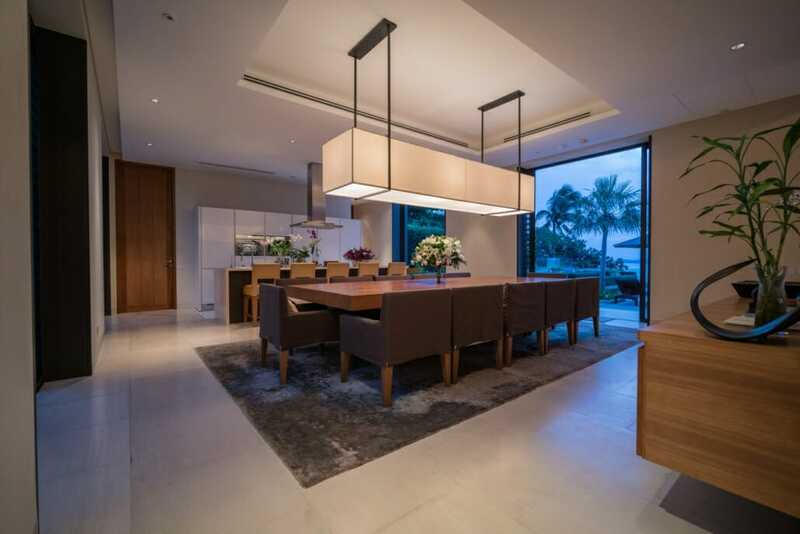 Created for the most discerning of residents, the villa is comprised of 4,000 square meters of indoor and outdoor living space set on 3 acres (7 Rai) of perfectly manicured lawn and gardens, and has direct access to a semi-private beach below. 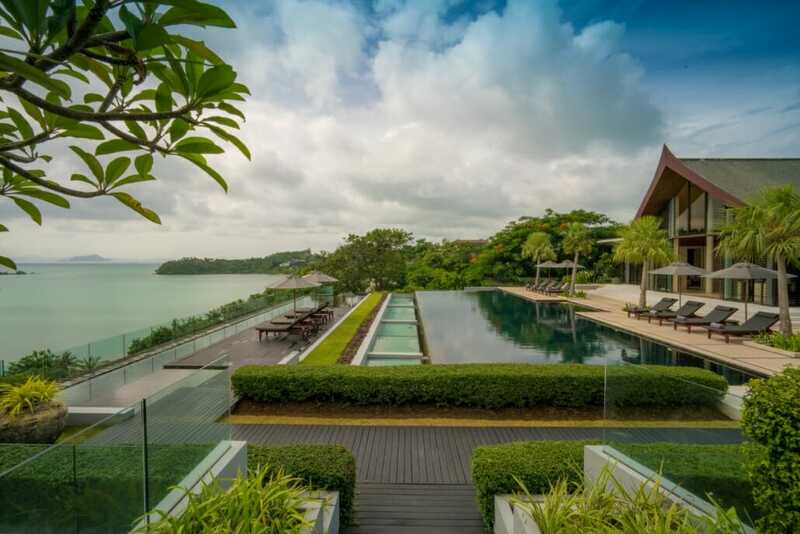 The property includes a 24 -meter lava rock infinity pool, its own golf practice green, a beach house complete with its own terrace, wine fridge and entertainment system, a boathouse, an outdoor dining sala, a games room, a gymnasium and a private spa room. 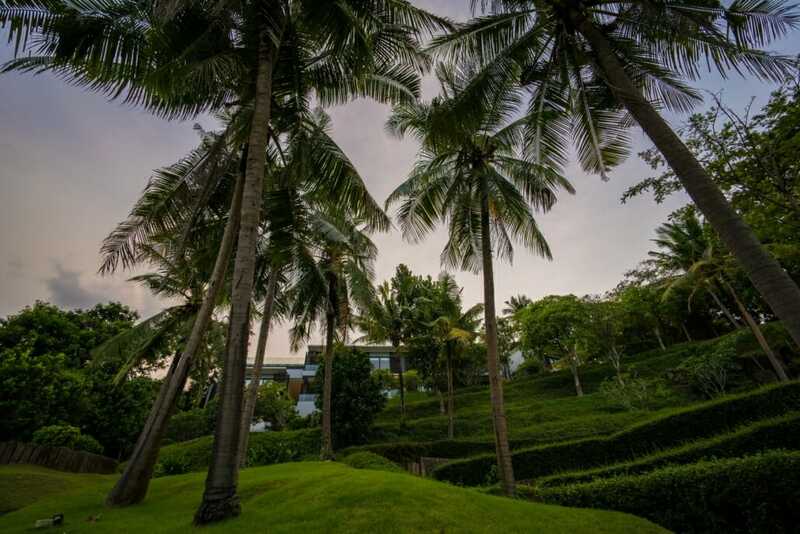 As the villa is built on only one-third of the total land area, there is still plenty of room for further extension and development if desired. 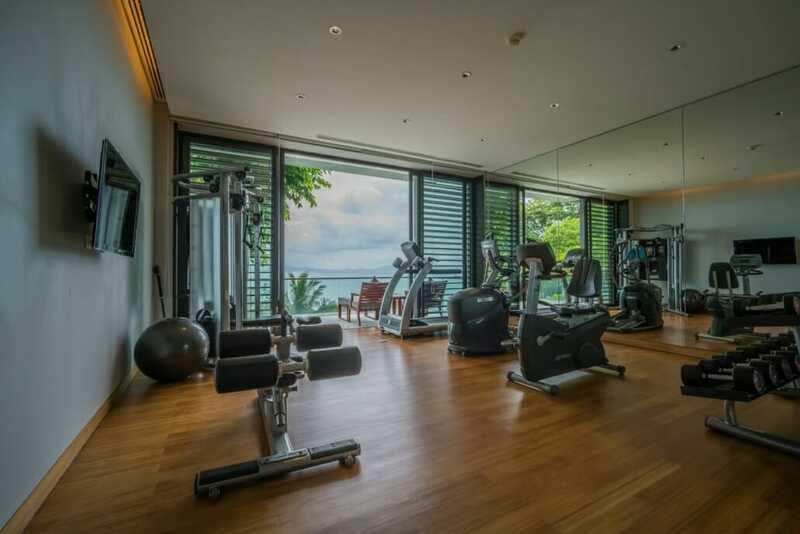 In addition to these resort-style facilities, residents also have access to 5 star dining and wellness at the nearby luxury hotel, Point Yamu by COMO, as well as the use of The Cape estate’s tennis courts. 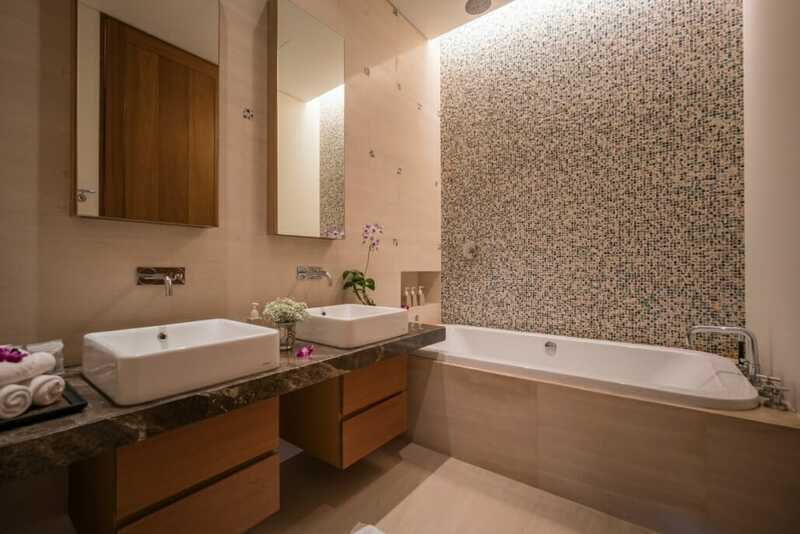 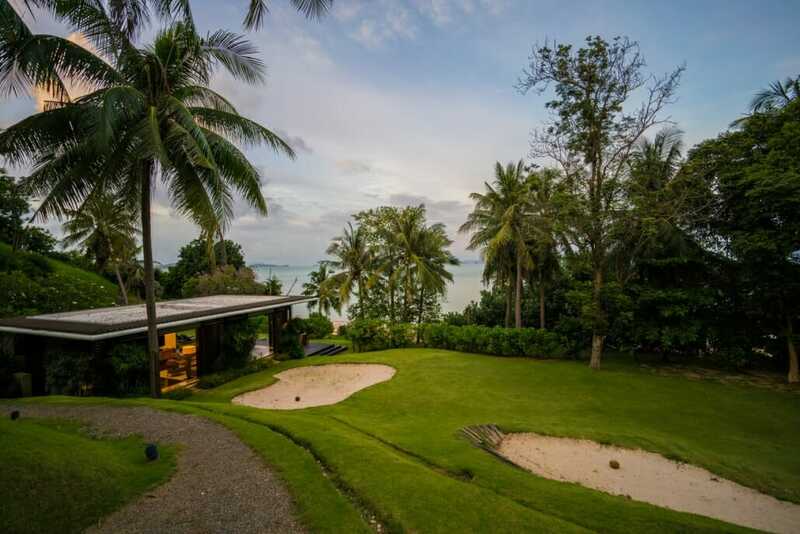 It’s located only 20 minutes from the international airport and is within easy reach to some of Asia’s best golf courses and marinas. 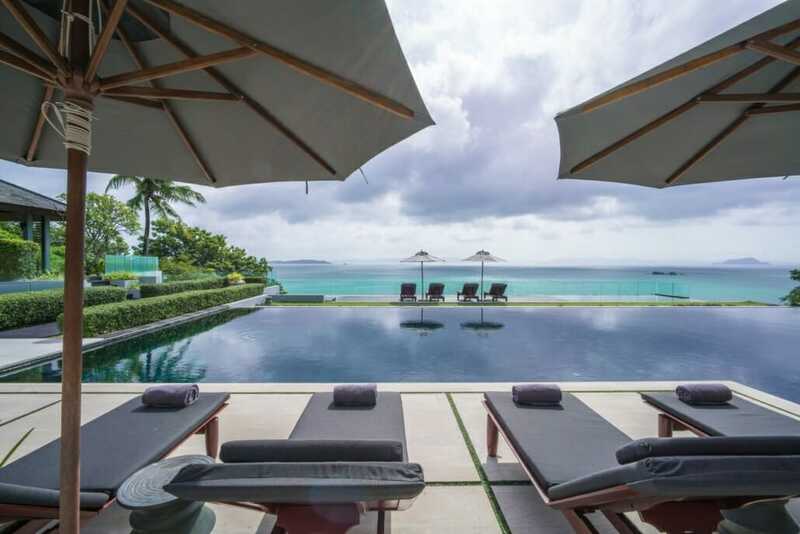 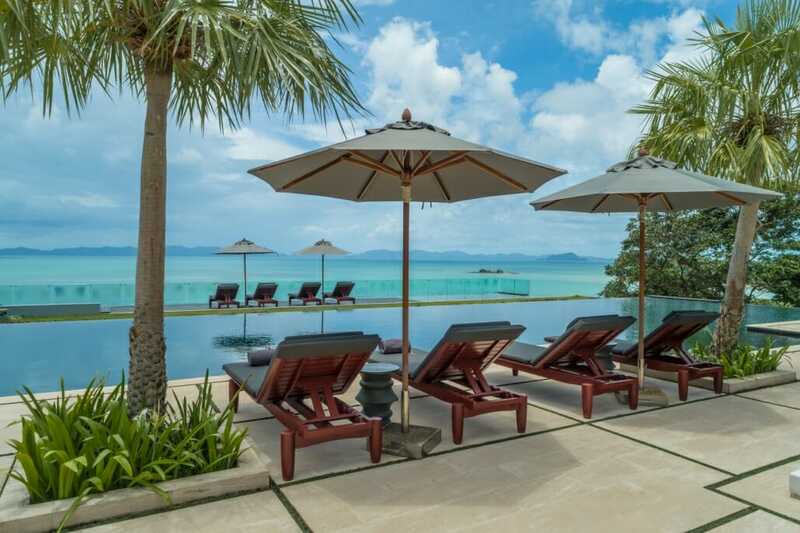 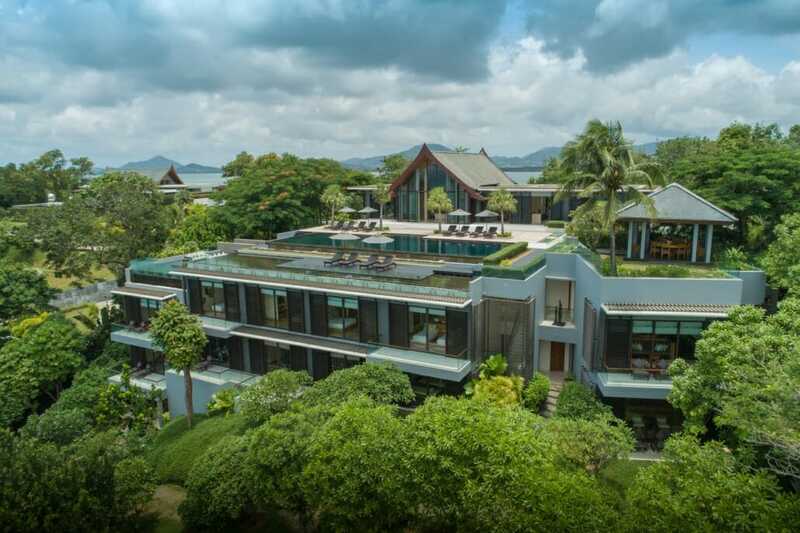 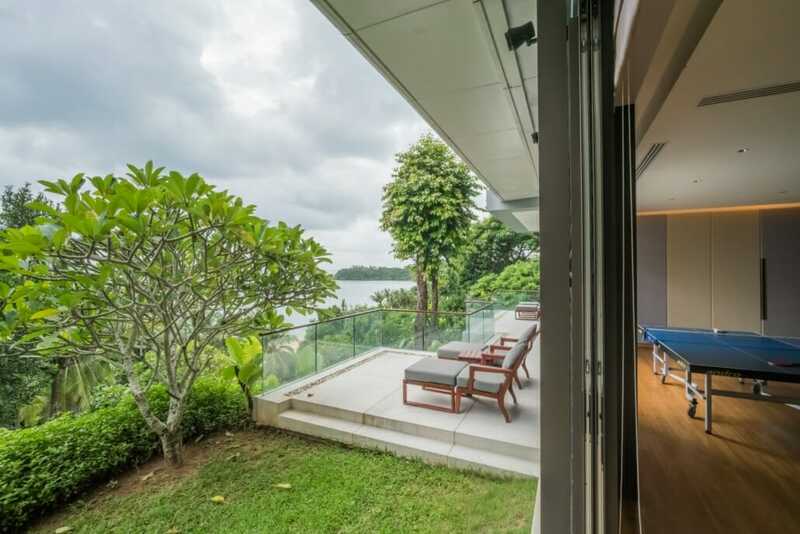 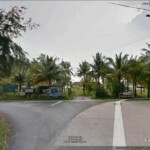 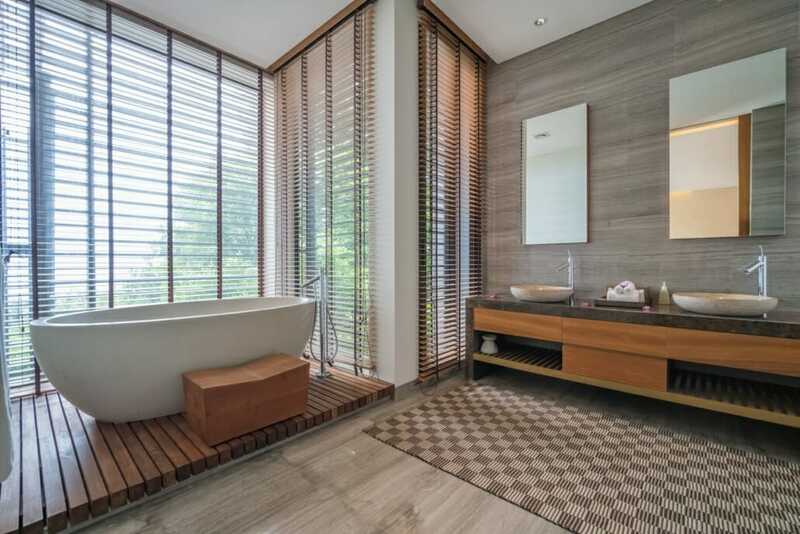 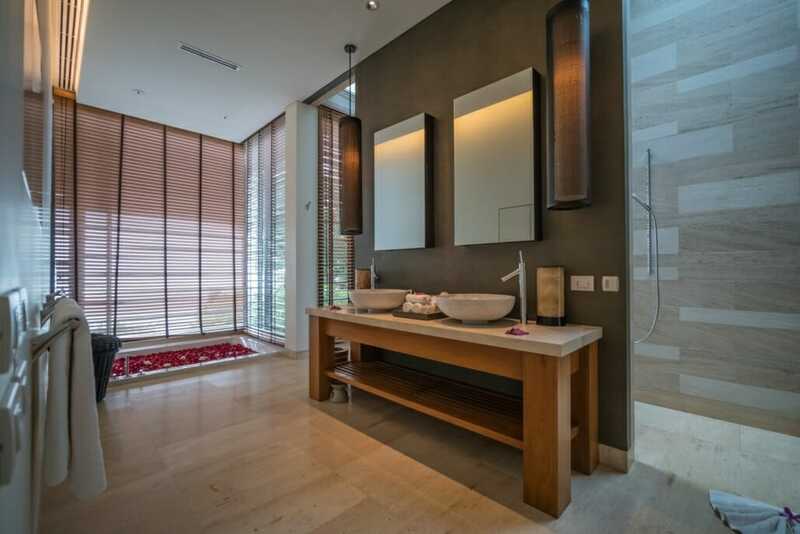 This is truly a rare opportunity to purchase such a an exceptional villa on the paradisal island of Phuket. 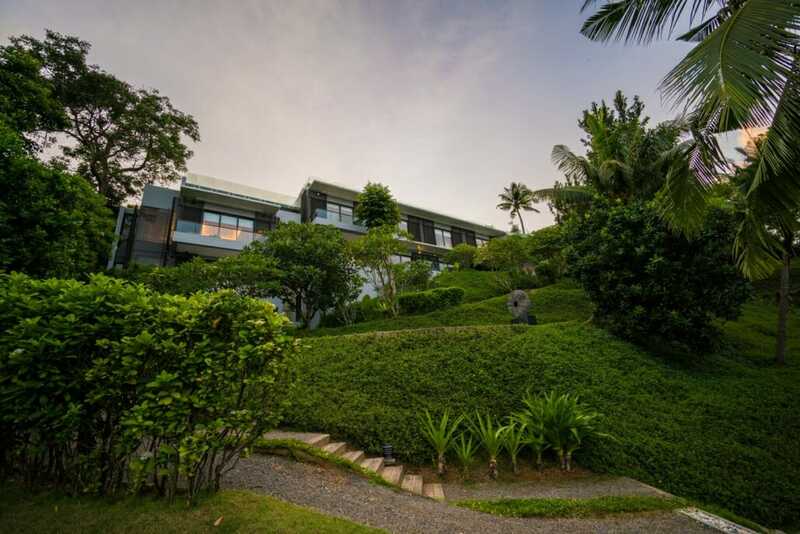 Asking price is 18 Mil USD.